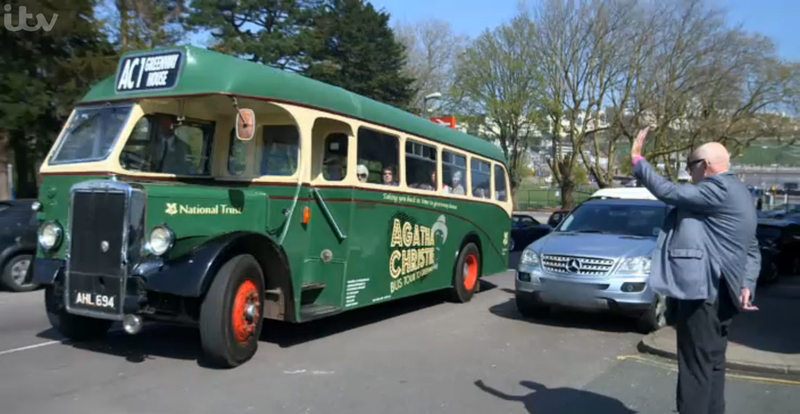 If any of you happened to be watching ITV yesterday evening you might have spotted me in action with the Agatha Christie vintage bus. It was one of several segments in the ‘Richard Wilson on the Road’ programme in which he has been touring Great Britain using 1930s Shell Guides as reference. As you may have read before, Richard and his TV crew spent a day about 9 months ago riding on the Leyland PS1 (AHL694) and visiting Greenway House. As per usual with these things, they shot much more footage than was actually used in the programme. In some ways I’m quite happy about that, particularly as some of the footage would have come from a camera mounted in the cab, focussed on me! Oo-er, a bit too close for comfort! You can read the post I wrote at the time here and you can watch the episode again here (until March 4th 2015). My review of 2014: another vintage year! A few days ago I posted a review of 2014 which was in fact generated by WordPress. It served up a number of stats relating to the performance of my ‘Busman’s Holiday’ blog but takes no account of my personal highlights of the year. So here they are. First of all, in early January, was the special running day to mark the closure of Salisbury Bus Station. 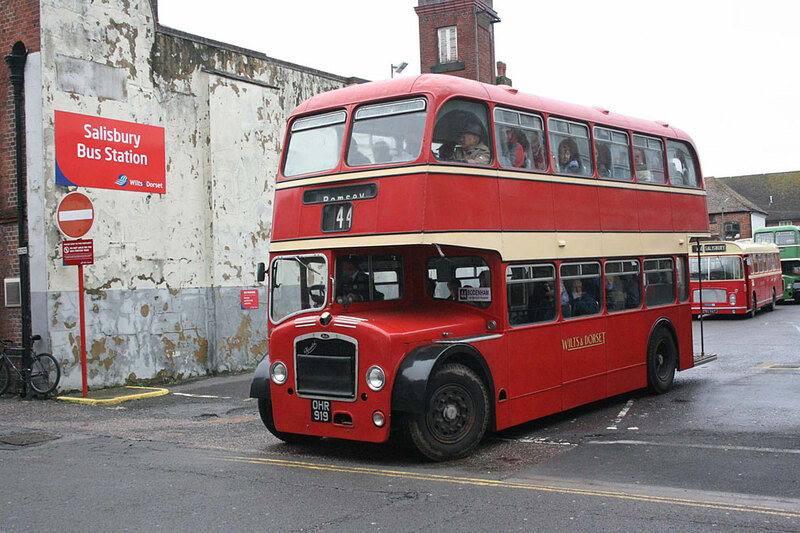 I had the pleasure of driving Wilts & Dorset 628 (Bristol LD6G OHR919) during the day and, on the first journey of the day, called at Salisbury General Hospital where I was born umpty-something years ago. At the end of the day there was the unforgettable moment when I led a convoy of four Wilts & Dorset buses out of the bus station on the last departure ever. Such an honour. 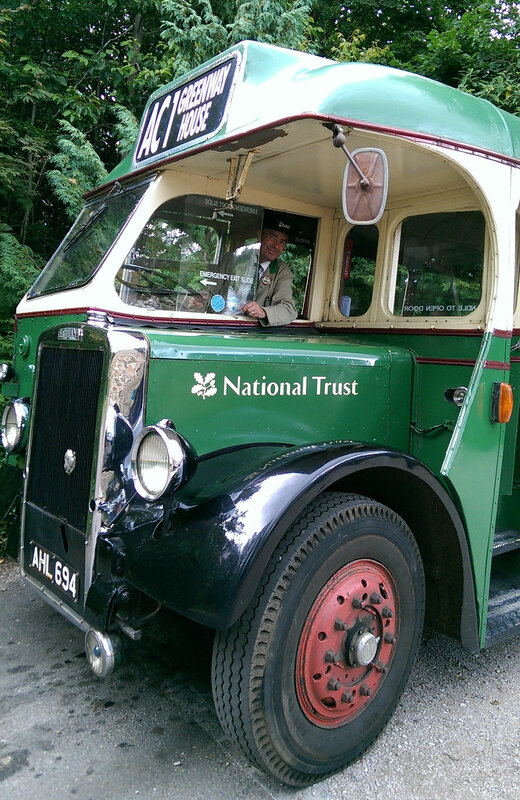 I did several months work with a 1947 Leyland PS1, taking visitors from Torquay, Paignton and Brixham to Greenway House, the summer residence of the late Dame Agatha Christie. One highlight was a day of filming with Richard Wilson, who rode on the bus to Greenway as part of a new travel documentary. With a cameraman in the saloon behind me with Richard, a fixed camera in the cab and a camera car in front of the bus, I was filmed driving from Torquay to Greenway. On the way there Richard interviewed me, which was the most difficult part of the journey. Mostly because I was still driving at the time! The series is being screened on ITV at the moment – it’s on Monday evenings at 8pm. Look out for the Greenway episode! Although driving to Greenway was mostly good fun, the condition of the bus and the operation of the service left a lot to be desired and so I bade farewell in June. An interesting job came my way last week while on duty for Greenway Ferry on their Agatha Christie vintage bus service. 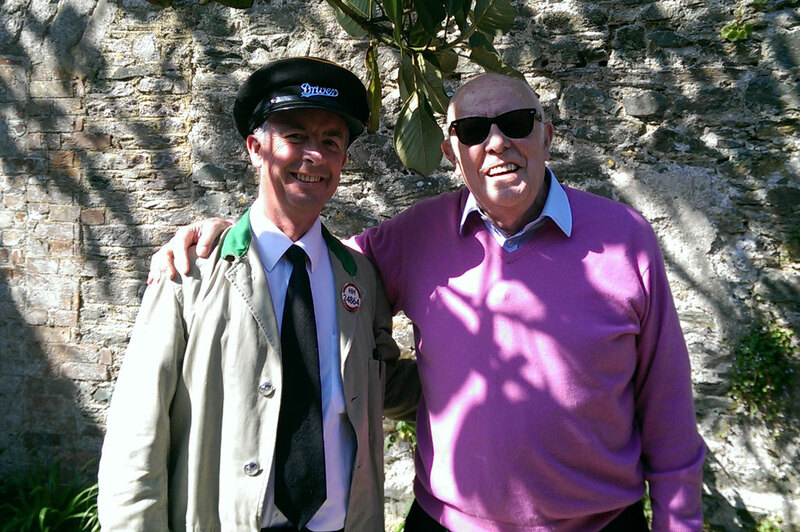 Richard Wilson, probably most famous for his portrayal of Victor Meldrew in the TV sitcom ‘One Foot in the Grave‘, is making a new travel documentary for ITV and he visited Greenway House as part of his tour of Britain. I had been forewarned about his visit but, other than that, it was a fairly normal day on the bus. I usually turn up for duty at around 08:30 and, as I arrived, one of my colleagues had just finished giving ‘the old girl’ a wash and she was sparkling in the early morning sunshine. After doing my daily checks and collecting a list of pre-booked passengers I set off in first gear up the steep, narrow lane that connects Greenway Quay to the rest of the road-going world. At that time in the morning there was little traffic about so I stopped on Paignton seafront to wait time. I was a bit apprehensive about Richard’s visit because I’d heard that he wanted to talk to me as we were travelling along. I really wasn’t sure how that would work out as it is so noisy in the cab. I had all morning to ponder on this as he wasn’t due to board the bus until the afternoon. I picked up about half a busload of passengers in Torquay and headed back to Greenway. I’m gradually getting used to giving a commentary as I drive but it’s still the most difficult part of the job at the moment. Next came a trip back to Paignton seafront for the 11:00 departure but there were only 4 people waiting this time. Then came a trip into Brixham where I picked up about 15 passengers from the stop beside the quay. As I turned the bus outside the new Fish Market, many cameras pointed my way as tourists tend to congregate here as they wait for boat trips. One of the most pleasant parts of the job is that I get to sit in the gardens at Greenway for my lunch and today it was really warm in the sunshine. All too soon it was time to head back to Torquay with my passengers. At the stop near Torquay harbour I was met by Ellie, one of the TV production team. She told me that Richard and the film crew wanted to board the bus outside the Grand Hotel so I gave my usual welcome and introduction over the tannoy. As we approached the Grand Hotel, which is where the newlywed Agatha and Lt Archie Christie spent their honeymoon night, I was told that Richard was outside the main entrance and that they wanted to film our arrival. This was a bit off-route as we usually sail past the hotel on the seaward side. Anyway, I saw a man beckoning me on (he turned out to be the director) so I drove up to where they stood. After some discussion about how we were going to turn the bus around, they filmed Richard Wilson climbing aboard. He’d already been told my name so he reached through the gap behind my seat and shook my hand. “Good afternoon John, I gather you’re to take us to Greenway,” he said in his distinctive Greenock accent.